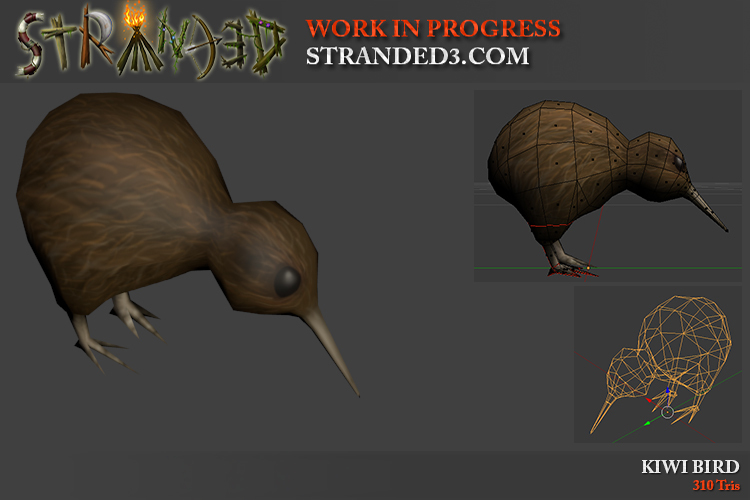 I took the chick model and modified it a bit to get a little kiwi bird! Do you remember the arrows (entry #68)? I finally made a bow! Hooray! This one is a rather primitive one. It's a stick with a cord. The stick is carved a bit for optimization. 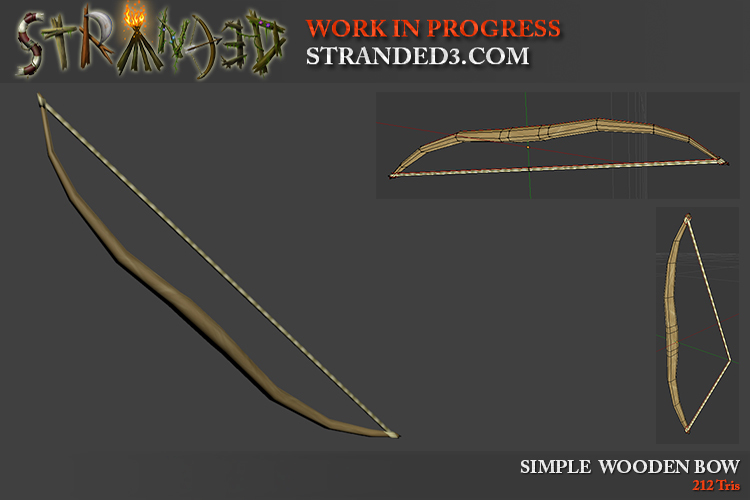 I will probably even add a more primitive bow. Without any carving. The pro of that bow would be that you don't need any tools to create it. The contra would be bad values. Lower range, less damage. A long bow is also planned and there will probably even be more variations. I also had some thoughts about the slingshot. In Stranded I and II you were able to craft it with a stick and a vine which is quite unrealistic as a vine isn't very elastic. I might remove that combination and therefore also the slingshot as an early weapon. This will also make the game harder because you won't be able to shoot pebbles and other small items easily. You will have to craft arrows which means that your ammo will be very limited and every shot counts. Well... at least in standard survival mode. Does that mean that there won't be slingshots at all? No, not necessarily. There might be more complex ways to craft them. Like tapping rubber trees to get rubber etc. By the way: If you like slingshots you should take a look at these slingshot videos made by a crazy German dude!